[RetroPicks] Haul of consoles! – I ❤ Old Games! Today I’d like to tell you about my last purchase. I’m very happy about it and I really couldn’t help but write about it. Every weekend in a range of 20-30 km from here they do some second hand markets and I really wanted to see one. I’ve been lucky to have sunday off from work (it didn’t happen since ages…) so I went there. I was look primarily for games and I didn’t want to spend money on consoles. In my (wrong) opinion I thought I already owned all the main ones. This is just in part tru because yes, I own an NES and a SNES on Nintendo side, then a Master System and a Mega Drive on the Sega side, plus Atari 2600 (for a touch of vintage) PS1 and PS2. For me the PS2 is already too modern for my collection and I look at it more as something to have than something that really fits in my small collection. The market wasn’t so big actually but after a minute I saw a booth selling all kind of useless stuff AND an XBox One E and a Wii. Sincerely I didn’t want to buy them because I live with the idea that these “new” consoles are still too expensive for me; plus I don’t know many of the games designed for them and I’ve almost never played any of them. For this reason I’ve asked the price just for curiosity and he told 40€. I thought they were 40€ per console but it turned out it was 40€ for BOTH of the consoles! And plus the XBox 360 came with its original box (though a bit torn) and instructions. Unfortunately there were no power and HDMI leads nor joypads but I’m confident I can get them for a few quids, even though it looks easier for me, instead of byuing all te accessories, to buy another complete XBox to keep the cables and re-sell the console :). The guy told me that the XBox has already installed like 300 games so it’s probably a modded one and I really want to check what’s inside, even though I will stay true to my desire to buy only original games. And as I saw online the games for the XBox 360, even the good ones, are incredibly cheap, probably because the console has been discontinued only a few years ago and it stil need some year to become “retro”. So this could be even a good investment for the future! 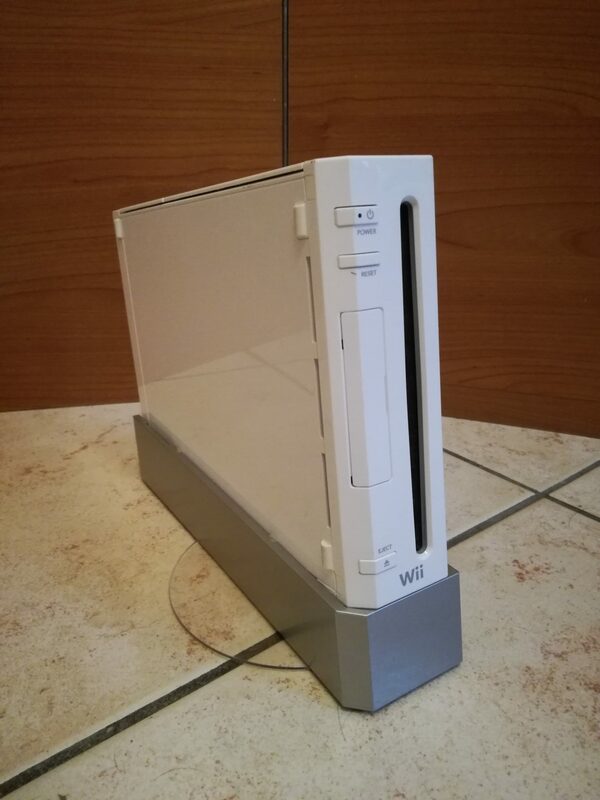 The Wii instead was complete (but unboxed) and was missing only a controller. So basically I’ve bought a supposedly working XBox One and Wii, but for the sum I’ve paid I couldn’t be happier! I thought it was already enough for me but one of the last booths had another XBox, this time the first model. Reading the last Retro Gamer issue, I had the curiosity to try some of the games, even because as I’ve read they’re probably the cheapest around (even due to the “small” success of the console). Unfortunately, until now, I didn’t own one and I didn’t know anyone who owned it. 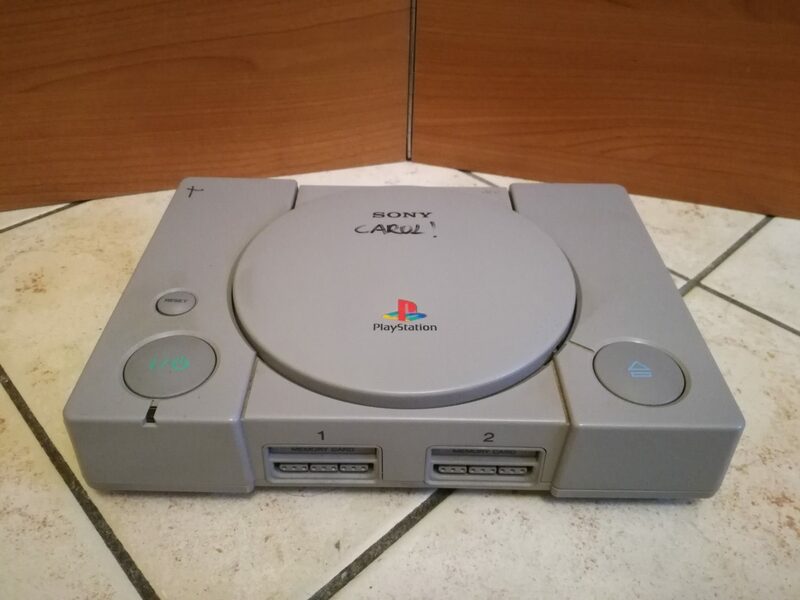 Now I know what to do 🙂 The console was priced 20€ but after a few hesitation he cut the price to 10€ adding also what it looked like a PS1, but covered in s#!t (I can’t explain how filthy it was). He didn’t know if the PS1 was working and it had no cables so it was like a mistery box. 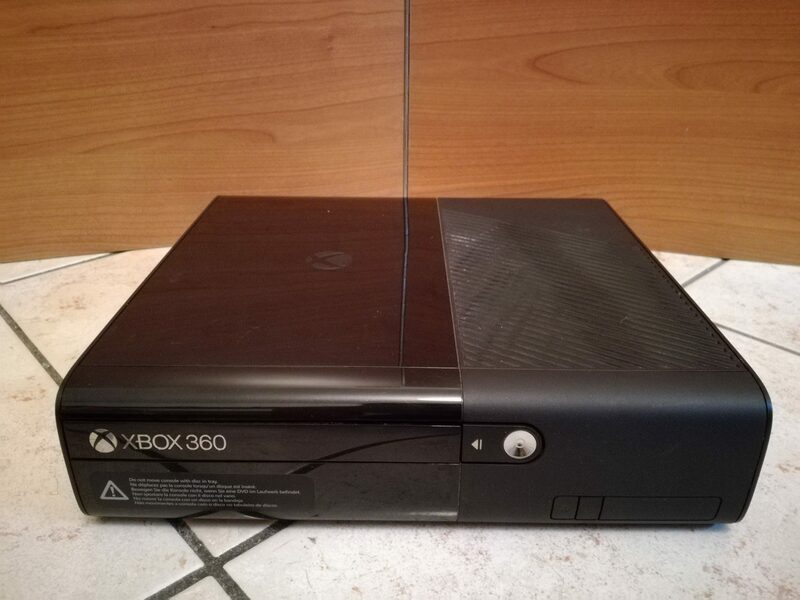 The XBox came with the game Stolen, I’ve sincerely never heard about and it looks is fully functioning even though I think I have to clean a bit the glass inside because it has some problems reading games. I’ve always considered the XBox a sort of “loser” console in comparison to the more acclaimed PlayStation, even because it sold less and had more or less similar games (actually not so similar but as far as I knew yes). However as I fired up the XBox I realized why they were talking about. Thanks to the Nvidia graphic card the console can display great visuals compared the the consoles of the time. Another thing I didn’t know was how fricking heavy it was! It’s like a cube of lead! And even the XBox One, while is way lighter, has its own weight compared to the light PS2, PS3 snd PS4. So, what to say, I can’t be happier of my purchases, since for the small sum of 50€ during a beautiful sunny winter morning I filled my collection with four new items, three of which were absolutely new for me and with an high value. Both the XBoxes and the Wii are still in that period in their lifetime in which they’re old console for modern gamers but new console for retro ones therefore their prices are ridiculously cheap and they can become a wise investiment for the future. If all the markets will be lilke this one, I hope I’ll have more sundays off from work! Nice score. Here in North America the Xbox was far from a loser, narrowly out selling the Gamecube by a proverbial hair. On multiplatform games the Xbox usually had the best looking thanks to the modded Nvidia GeForce III it ran on. 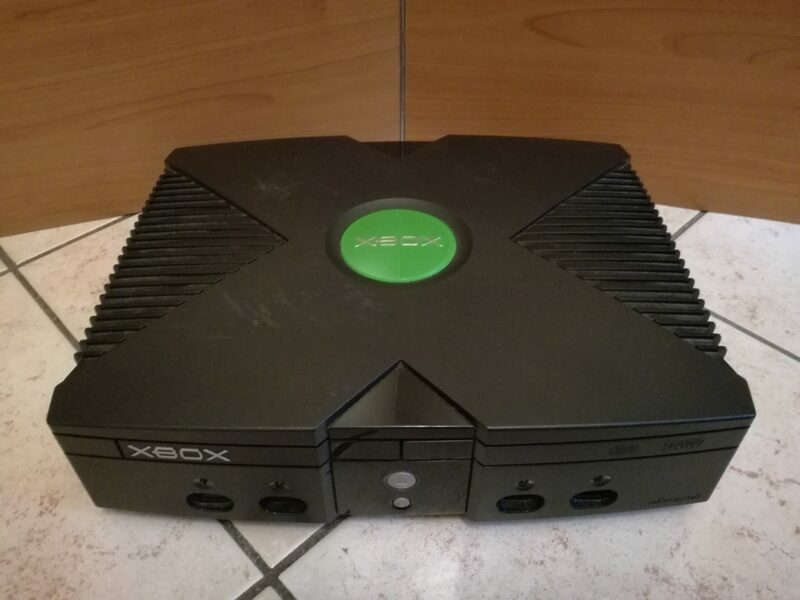 The original Xbox used Intel parts that weren’t too different than was in Pentium III computers when it came out. The Gamecube was surprisingly close in tech though, using comparable PowerPC tech found in Apple products, along with an ATI video solution. Halo, Halo 2, Project Gotham Racing, Unreal Championship2, Midtown Madness 3, Dead Or Alive 3, are but a few of the games worth getting. There’s a lot of good stuff on it. The Wii is also a great score. It might not have been much beefier than the GCN, but it had a ton of great games, many of which can be had for well below $20. Now’s the time to get Wii (and Wii U) stuff as stores clearance it all to make way for the Switch games. If you find them, nab Madworld, No More Heroes 1&2, The Conduit 1&2, Red Steel 2, Sin and Punishment 2, House Of The Dead Overkill, House Of The Dead 2&3 bundle, SNK Arcade Classics, Ghost Squad, which are all dirt cheap. Some Wii games are spiking up in the aftermarket though. Gems like Dokapon Kingdom, Xenoblade Chronicles, Data East Classics, Metroid Prime Trilogy Steelbook, Metal Slug Anthology, and Fire Emblem don’t come cheap. Still, a lot of good stuff on there. And you have the redesigned version, so there’s less of a chance of it red ringing out, and dying on you. Nice deal! Weird it printed my paragraphs out of order. Strangest WordPress bug I’ve seen. Anyway, the third paragraph should be second. Sorry ’bout that! Holy smokes, that was an awesome deal! And now the hunt for games begins! I’ve always loved the PS1 library due to all of the RPGs available but have mostly shied away from all iterations of the XBox. It’ll be fun seeing what you can track down for these systems! Too bad you can’t throw that whole PS1 into the dishwasher! I hope it cleans up okay. Some alcohol will take that marker right off the top without much issue if you’re hoping to remove the “Carol”.